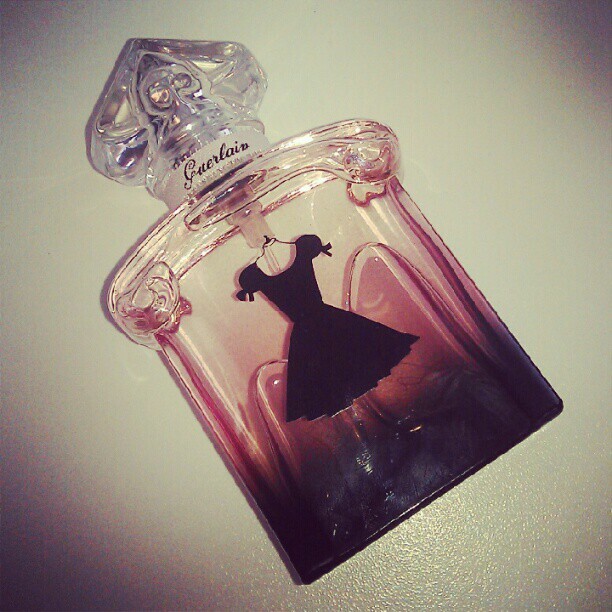 Oh my, I don’t think I’ve ever seen such a beautiful bottle of perfume. This stunning scent from Guerlain is called simply ‘La Petite Robe Noir’ – the little black dress on the delicate glass bottle probably gives away the translation. Originally launched in 2009 as a limited edition celebration from the perfume house, the delicate and beautiful scent has been relaunched in 2012, modified and developed by the in-house perfumer Thierry Wasser. Like its namesake, the fragrance is a classic addition to anyone’s scent wardrobe – it’s timeless elegance in liquid form. “Inspired by the elegance and eternity of a little black dress, the perfume exudes Parisian chic and gracefulness. It opens with playful and sparkling aromas of black cherry, bergamot, red berries and almond. Bulgarian and Turkish roses rule the heart, further developing with notes of licorice and smoked black tea. Aniseed, tonka bean, vanilla, iris and patchouli form the base.” The bottles of La Petite Robe Noir are replicas of the classical vials Guerlain has used in the past. The dress print has also been altered so it’s slightly different from previous designs, making the current bottle unique. The scent is stunning, the bottle is beautiful and everyone will be lusting after this for years to come. 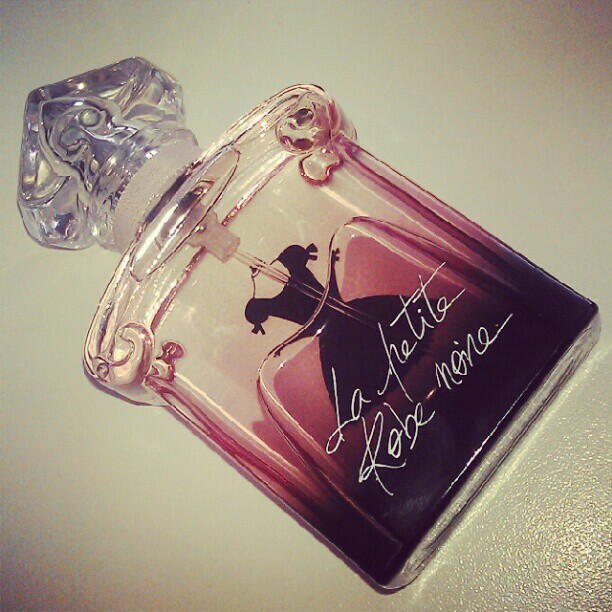 The new La Petite Robe Noir is available as 30, 50 and 75 ml Eau de Parfum. Love the design of this bottle!